Cornell University is among the country’s oldest and most elite universities. Founded in 1865, this Ivy League school consistently ranks in the top 15 nationally for its academic reputation. It has approximately 21,904 students, 1,648 professors, and produced 54 Nobel laureates. The university led many other institutions of its kind by implementing e-procurement bidding systems in 2004 and 2011. While these software products provided an improvement over manual processes, they were not user friendly and many common tasks required too many steps. This became problematic because vendors struggled to submit bids and regularly required assistance from procurement staff. It was time to find a more efficient software. While evaluating a new system, the university hoped to find technology that would accommodate its unique business needs. The team wanted a system that could be easy to use for the suppliers, and support the sealed bidding process as well as provide other functions such as supplier prequalification and approval. After an extensive evaluation of e-procurement options, Cornell University determined Bentley procurement software was the best product for its needs. Staff members and selected vendors tested the software and found it user friendly and efficient. responses easily compared side by side. “The new system eliminates manual data entry steps and allows us to easily compare bid responses,” said Jay Porter, strategic sourcing manager at Cornell University. Bentley’s supplier management portal, which is accessible via a university website link provides online supplier registration, posting of solicitations, and allows online bid submission, eliminating paper and postal costs from the sourcing process. Understanding that evaluating bids will always be a time consuming process, Cornell uses an “invite-only” approach and is selective in the potential vendors that are invited to bid. “Some companies offered us a big database of prospective suppliers and promoted that we would see a big increase of responses by sending it out to their database,” said Porter. “We did not see the benefit of getting lots of responses from unqualified suppliers. We love that [Bentley procurement software] lets us build our own database of highly qualified suppliers.” With their new platform, Cornell utilizes self-managed vendor accounts, which ensures up-to date, accurate vendor information. 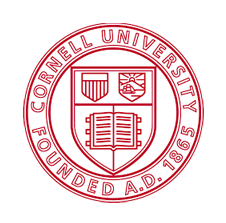 While Cornell is a private university, the ability to audit sourcing activities is very important to the university. According to Cindy Jefferson, director of strategic sourcing at Cornell University, “It is important that I have oversight into the sourcing process to ensure we are competing major procurements according to industry best practices.” The Bentley procurement software platform logs transactions, enforces deadlines, and can seal bids to prevent premature disclosure of information. The flexibility of Bentley software helped Cornell seamlessly implement efficient sourcing, reduce manual processes, and realize the full potential of e-procurement in an academic environment.